It has recently been reported that Mumbai’s expats are the world’s highest paid according to an HSBC survey. With high earnings brings the need for financial advice for expats in Mumbai. 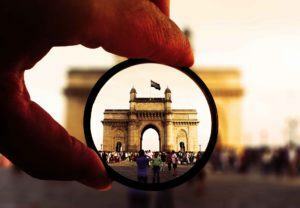 We receive numerous inquiries regarding what options are available to an expat in Mumbai to get their money working harder for them. Are you planning on staying in Mumbai? If not, are you returning “home” or elsewhere in the world? What currency is best considering issues such as Brexit, Trade Wars and the stability of Europe? How risky are the investments? Are the products and funds you recommend regulated and if so by who? Financial advice for expats in Mumbai – Where do I start? First of all and most importantly there is no one size fits all. Everyone’s requirements are unique to their circumstances and the investment products and strategy chosen need to reflect this. Speak to an Independent Financial Adviser today to discuss your requirements. Harrison Brook is the leading international online broker of expatriate financial services, products, and expat financial advice. We offer low-cost offshore investment platforms with access to over 5000 funds, index tracking funds and risk graded model portfolios. Not just focussing on portfolio management, with the low cost of living in India a regular savings plan is ideal for some of your disposable income. Whether it be for a retirement fund, buying a house or children’s education, there are numerous options available. Proven Performance – many of our clients have been with us for several years and recommend us to their friends and family. With a 5 star rating from the fully independent website Feefo. Reach – there are no restrictions on clients location and you can access our services no matter where you live. Independent – We offer a non biased service as we are not tied to a product or provider.